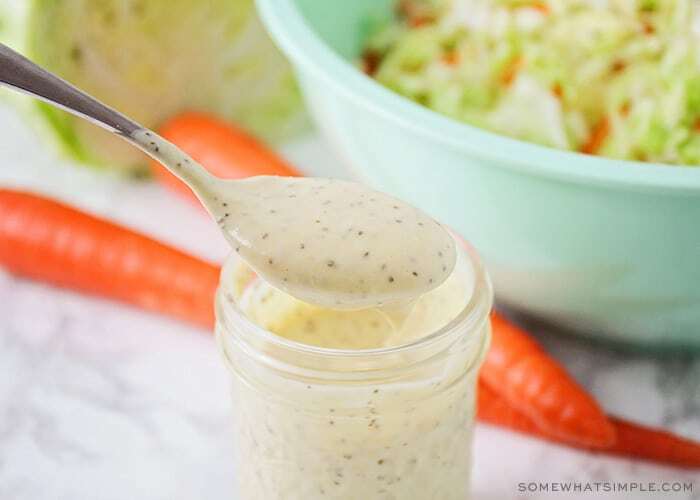 This flavorful homemade coleslaw dressing will take your coleslaw to the next level! 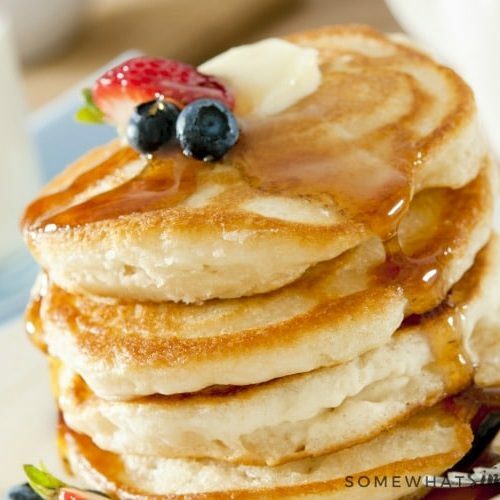 This recipe is creamy, easy to put together and it tastes AMAZING! Salads are one of my favorite things to eat for both lunch and dinner. What truly makes a salad taste its best is when you pour a freshly made batch of homemade dressing over the top. 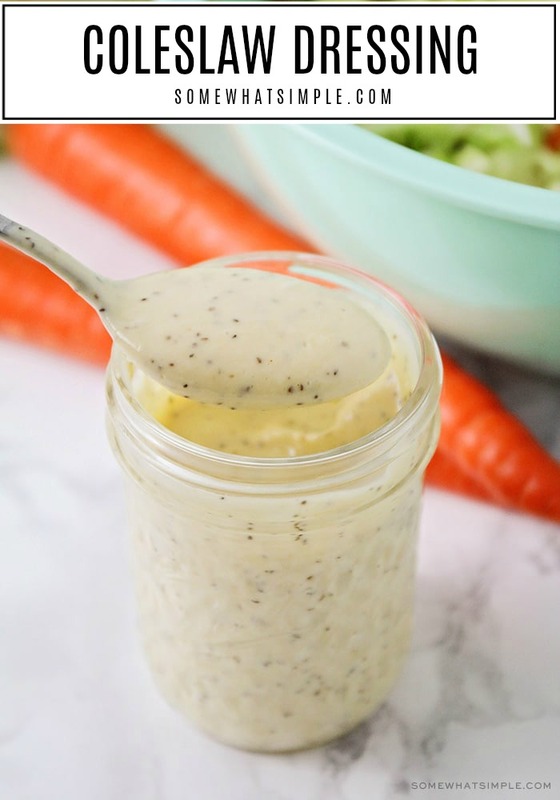 Some of my other favorite homemade dressings are these Homemade Ranch and Poppy Seed dressing recipes. I didn’t start enjoying coleslaw until very recently, but now I just can’t get enough of it! I love the crunch of the cabbage with the creamy texture from this dressing – it is so fresh and so delicious! 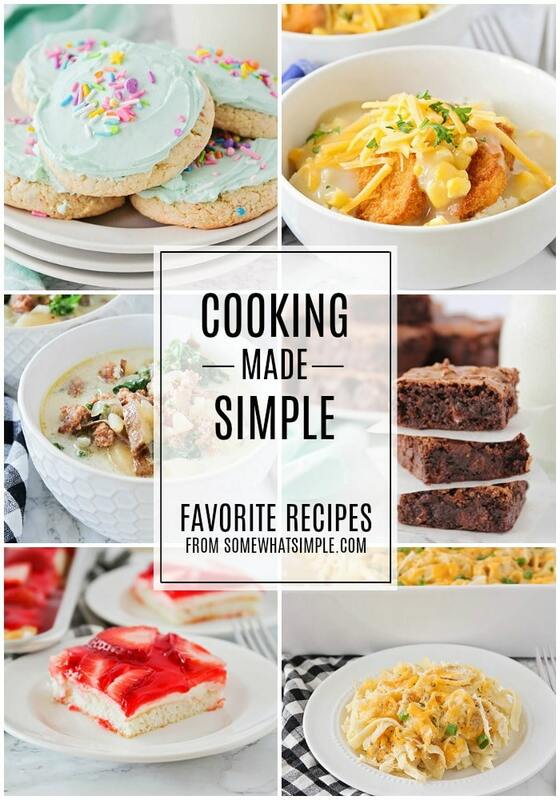 If you love Homemade Coleslaw, get ready to have your taste buds fall in LOVE! This coleslaw dressing tastes amazing, and once you see how easy it is to make, you’ll never reach for the store-bought stuff again! The most crucial part of any salad is having a great dressing, and this coleslaw dressing is seriously the BEST! It’s sweet and tangy, and it blends perfectly with the fresh cabbage mixture to make a fresh and delicious coleslaw. Homemade coleslaw dressing is really easy to make. 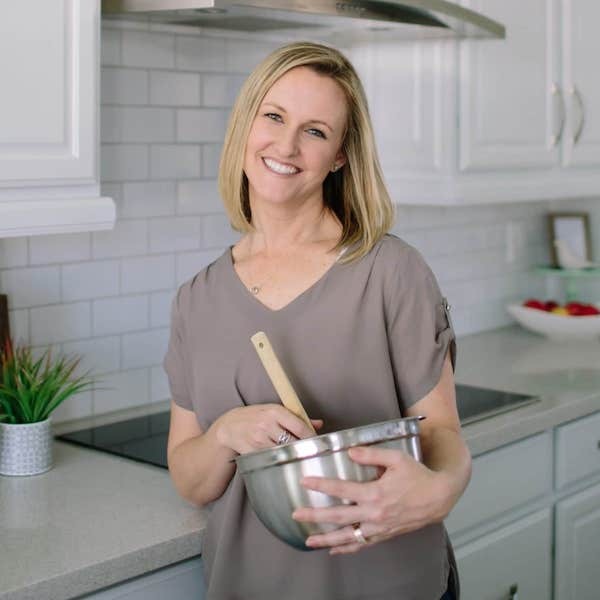 You’ll simply whisk a few pantry and fridge staples together, and it’s ready in just a few minutes! If you don’t have celery seed on hand, you can easily leave it out. The coleslaw will still be delicious, but I do like the little punch of flavor that it adds to this dressing. Just follow these easy steps and you’ll have a delicious dressing, without any of the preservatives, ready in no time! Once your dressing is made, simply pour it over some chopped cabbage and grated carrots, and toss to coat completely. Refrigerate the coleslaw for at least two hours, or until you’re ready to serve it. It will keep in the fridge for up to two days (and I actually think it tastes better the second day!). 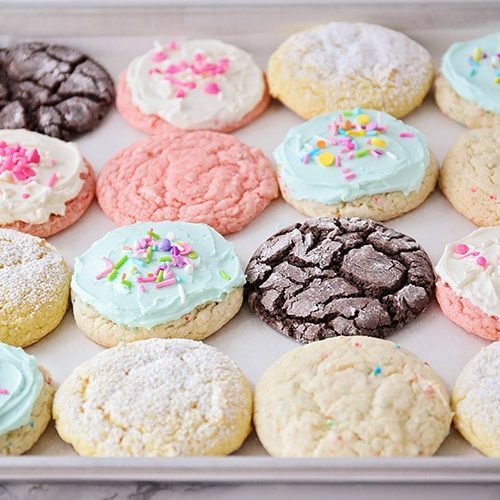 This recipe is so easy, it will literally take you only minutes to make. 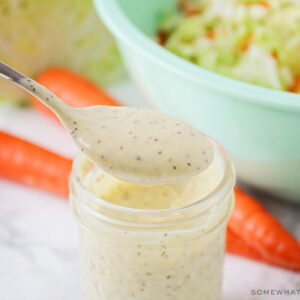 I promise, once you make this delicious homemade dressing you’ll never go back to using the store bought version again! Leave us a comment below and let us know how it turned out. 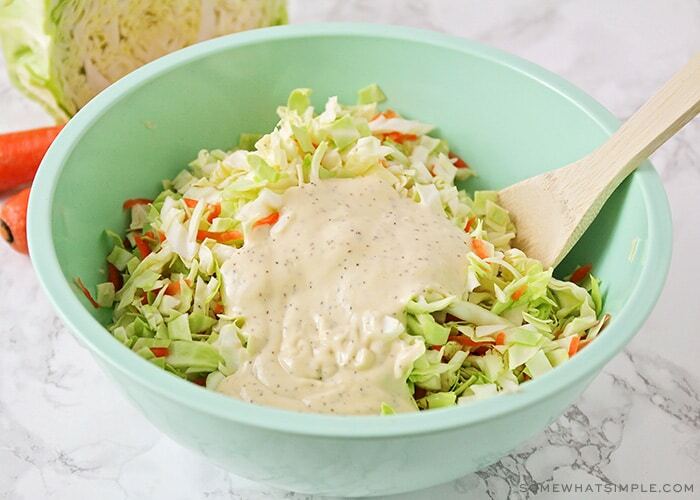 This flavorful homemade coleslaw dressing will take your homemade coleslaw to the next level! 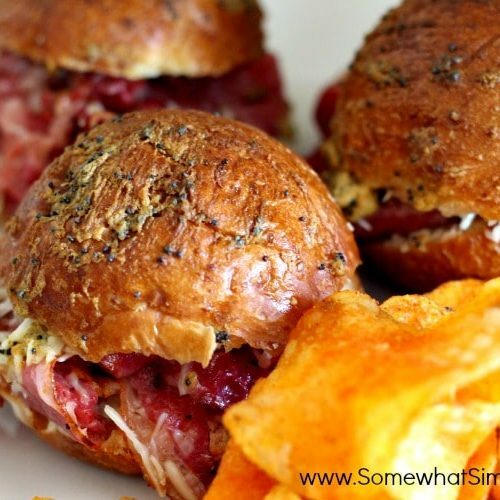 It is easy to put together and it tastes AMAZING! In a small bowl or measuring cup, whisk together the mayonnaise, apple cider vinegar, dijon mustard, sugar, celery seed, onion powder, and salt. Serve over your favorite coleslaw salad and toss to coat evenly. I’m going to have to try this. This dressing looks fabulous! Thanks Erin, let me know how you like it! 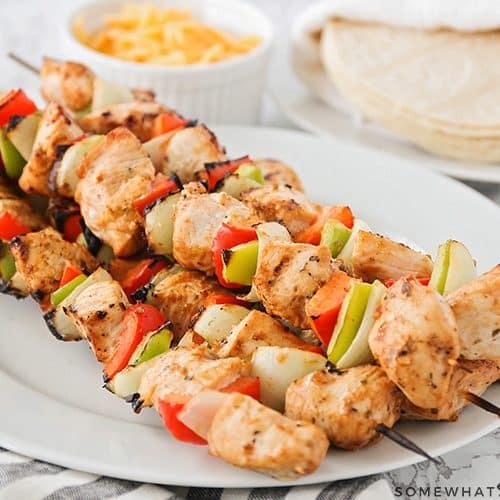 Gotta save this for all our Summer BBQ’s! I love how you add dijon mustard to your dressing! I can’t wait to try it! Thanks Megan, I love the Dijon mustard too! Homemade dressing is always best! Can’t wait to try this! Totally agree! Homemade dressings are always so much better! Sounds insanely delicious! 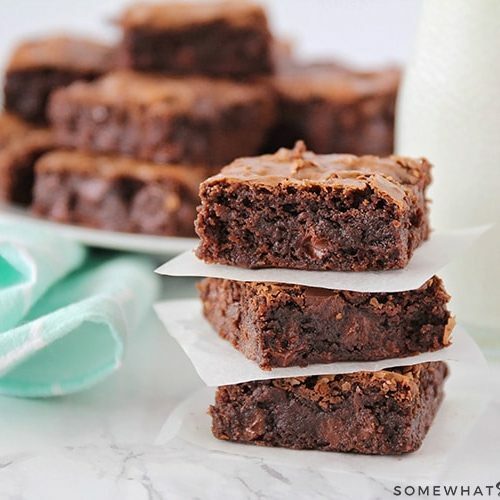 I bet those flavors on it are amazing that makes this simply irresistible, need to make this! I am a huge coleslaw fan and there is nothing like your own homemade dressing!! 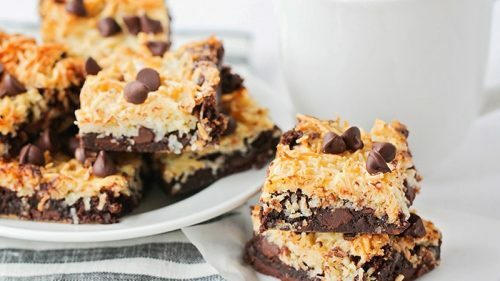 I love a good coleslaw and this looks delish! I love homemade coleslaw. This dressing looks awesome. Can I use low fat mayo in place of regular mayo? 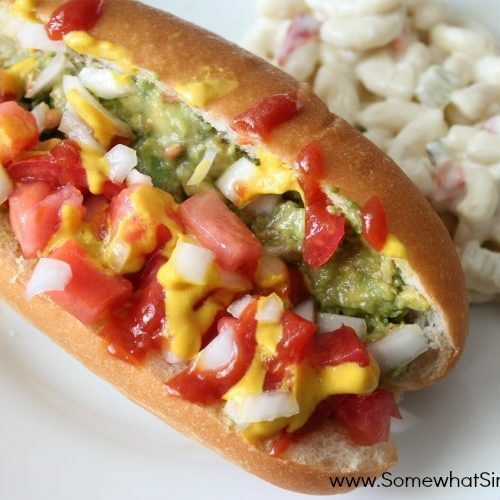 Yes, you can definitely use a low fat mayo instead!